Forewarning: Don't attempt to make this when you are expecting company. Boiling and peeling eggs kind of masks the house with a foul smell for a couple hours. No one really appreciates that. And they might look at you funny. 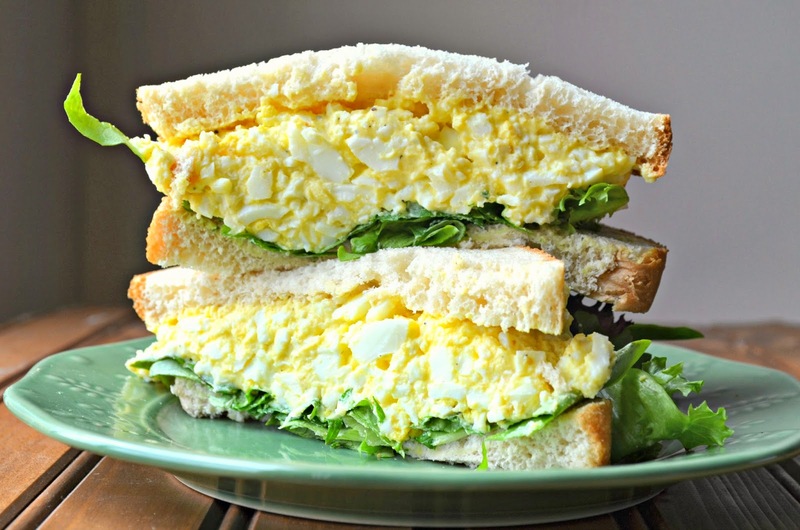 But if you aren't having company, give this sandwich a go. This is my mom's recipe which is pretty simple, straight-forward, and delicious. If you want to spruce it up a bit, you could add diced celery or green onions. I prefer to use light mayonnaise since I'm trying to eat healthy, but make sure you don't use Miracle Whip or one of those fat-free brands that tends to be a little sweeter. ﻿It completely changes the flavor. Enjoy! Peel each egg and roughly chop. 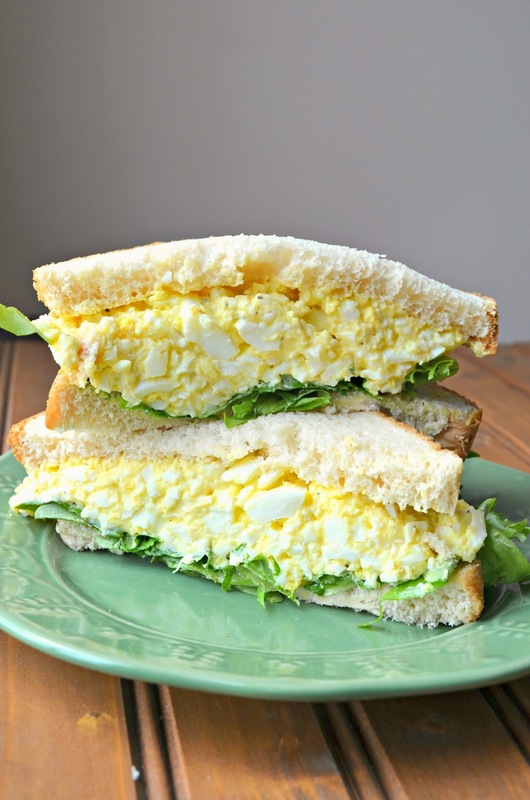 Place the chopped eggs in a bowl, and stir in the mayonnaise, salt, pepper and mustard powder. Stir and refrigerate. Allow to chill for at least 2 hours. Serve on a sandwich with lettuce.